Blog 14 – Heeeeere’s Barbie! – CPA Theatricals, Inc.
Blog 14 – Heeeeere’s Barbie! Introducing Barbie from NUMBERS N3RDS! Barbie has a natural gift with numbers, but her grasp on the distinction between fantasy and reality is not always the firmest. Her parents, both successful lawyers, are rarely at home, and leave her a stack of blank absence notes with their signatures for her to fill in when she doesn’t want to go to school. Barbie was named after the doll, but hates dolls herself, and looks nothing like the Barbie doll. She much prefers figurines and stuffed animals of unicorns, which she believes to still exist. She loves to draw, and often sketches what she believes to be the different species of unicorns still alive today. Barbie’s facility with square roots and calculating exponential numbers comes about because of synesthesia—she sees colors when she thinks about numbers, and the colors complement each other when they are mathematically related. Square roots show her rainbows, and she can calculate them in seconds. She hasn’t had much time for boys, but could see a future with a boy who knew something about international types of unicorns. Barbie is a senior, and one of the oldest Math Team members. She wants to run her own graphic design business, with Lisa Frank as her role model. Having experienced some bullying because of her dreamy nature, she is a natural advocate of the differently-abled, and can sign all of the B-52s’ music in ASL. She loves horror movies and accidents. 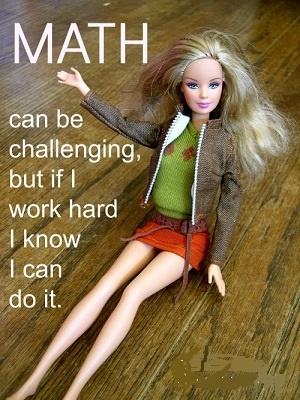 Winning the National Math Challenge would give Barbie a chance to show the world that she’s smart where it counts, and that she can accomplish her dreams, even if they’re based around fantastical creatures. Does Barbie help the Waukesha Almost All-Girl Math Team get to the National Math Challenge or does her fascination with living unicorns and horror films get in the way? Find out in NUMBERS N3RDS, the musical. 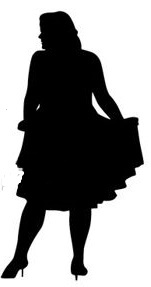 « Blog 13 – Some of my favorite characters on Broadway now…or coming soon.